Want to ensure your customers and/or suppliers are satisfied with your grain? Looking to enhance profit? It could be all in the grain cleaning processes you employ. These materials typically include sand and dirt, straw, small rocks, weeds and even the eggs of insect pests, as dirty grain tends to attract such organisms. Let’s put this into perspective by asking a simple question. If you received grain contaminated with any of these materials, would you be satisfied? The answer is typically going to be no. Suppliers expect to receive high quality grain that is clean and can be sold to customers immediately. Clearly, then, clean grain is of higher value than grain that is contaminated with materials such as those mentioned above. 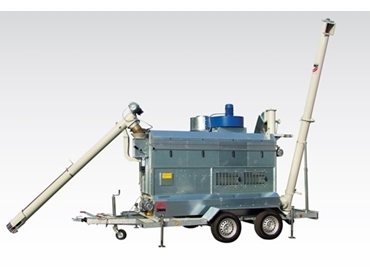 While there are many methods that one can employ to fulfil such a task, grain cleaning machines tend to clean grain most efficiently and effectively, and they subsequently do not require that the often tedious task be performed manually. 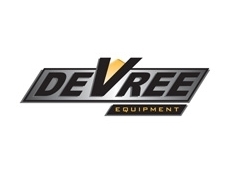 The range of Zanin rotary grain cleaners from De Vree Equipment Sales are one such example, as they are comprised of both pre-cleaners and rotary graders. The PPR rotary pre-cleaner component is equipped with a screen that operates to remove unwanted materials from the grain in an incredibly efficient manner. 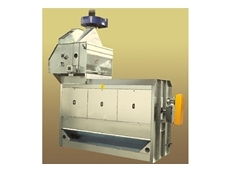 The grain cleaners also eliminate the need to manually separate each grain by type, as they are equipped with CR rotary graders. 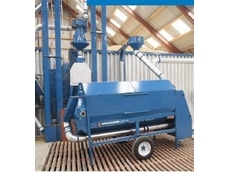 The graders separate the grain based on size, which means all grain obtained in the one harvest can be fed into the grain cleaners and separated accordingly. Thanks to a variable drum speed and inclination function the graders can sort and clean grain in a highly accurate manner. 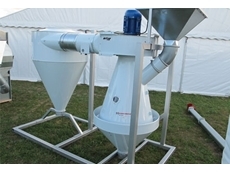 The heavy duty grain cleaners feature a galvanised modular construction so they are suitable for seed processing plants and other commercial applications.